This review was posted on February 17, 2018, in Uncategorized. After a lukewarm movie year, most of the Oscar nominated films are in theaters now. If you missed any, all are worth seeing before Oscar night on Sunday March 4th. Hollywood not only saved the best for year’s end, they reassured us that there are some brilliant performers of all ages still acting for our pleasure. 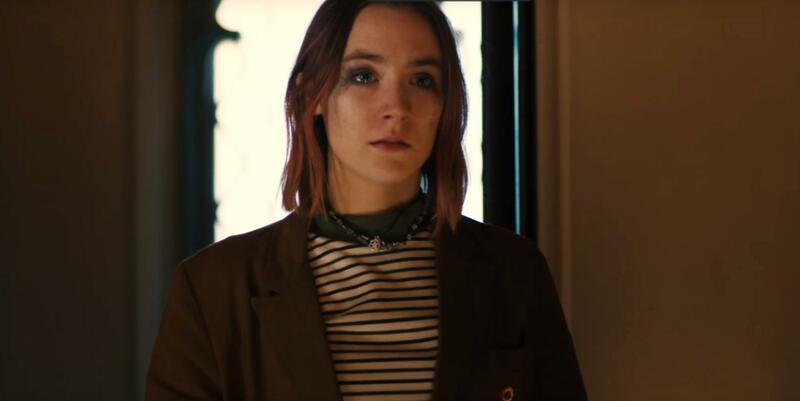 Lady Bird Is director Greta Gerwig’s masterpiece. A whip smart high school graduate is navigating the familiar elements of growing up. Gerwig assembled and directed a cast that lifts this right to the top of this year’s movies. 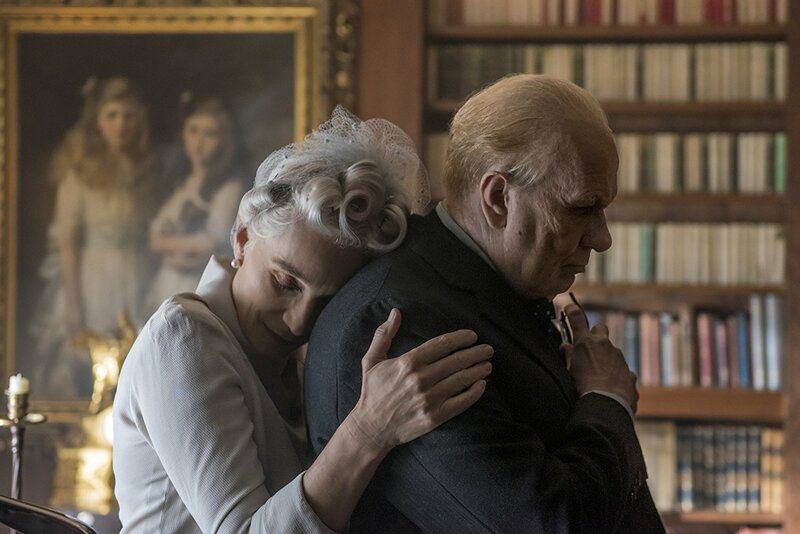 In the hands of Saoirse Ronan, Laurie Metcalf, Tracy Letts, and Timothee Chalamet, what might have been ordinary is fiercely intelligent and deeply moving. Three Billboards Outside Ebbing, Missouri is the explosion of a mother enraged at police who have failed to find her daughter’s murderer. Frances McDormand embraces the violent script with abandon by painting her anger at the police on three giant billboards just outside town. The movie unfolds inside the police department in an odd mixture of accusations, violence, profanity, shifting alliances and comic moments. You will laugh and shiver as McDormand unleashes her rage. She’s an original, no question. Call Me By Your Name unfolds with sublime gentleness in Italy. We soak up the beauty of the Italian countryside as a young boy and his older friend build a friendship, and make love. In other hands, this might have been fraught with family disapproval and drama. Director Luca Guadagnino has created magical surroundings and wise, quiet people who make this a thoroughly natural coming-of-age story that catches what so many feel but don’t say. A salute to a superb cast that delivers this story with great sensitivity. The Post gives us the threads of the Pentagon Papers case that ignited Watergate. Meryl Streep and Tom Hanks create Kay Graham and Ben Bradlee in two subtle and very effective performances. As owner and editor, the two took the Washington Post into the big time as they faced jail time if the courts had ruled against them. Tom Hanks simply becomes Bradlee and Meryl Streep uses great restraint in creating the woman who succeeded her editor husband after he committed suicide. The Shape of Water gives us a tender love story between two afflicted, isolated people who never expected to lose themselves in a beautiful romance. In one of the finest performances of this year, Sally Hawkins becomes a mute woman who can convey everything she is thinking by gesture and expression. That said, we are also given hatred, cruelty, violence and murder. Guillermo Del Toro and Hawkins, with fine help from other actors. Against tough odds, she turns the story into a powerful fable and her astonishing performance helped the film win 13 Oscar nominations. Nominees from these five films: Best Actor: Timothee Chalamet. Best Actress: Sally Hawkins, Frances McDormand, Saoirse Ronan, Meryl Streep. Each one of these five movies springs from original and inspired thinking by writers, directors, and actors. This review was posted on February 10, 2018, in Uncategorized.